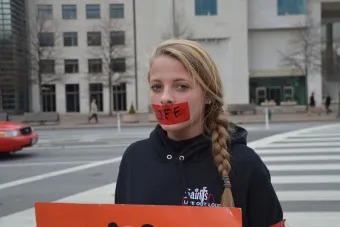 Washington D.C., Sep 22, 2018 / 05:05 am (CNA/EWTN News).- A new Netflix documentary claims to show both sides of the abortion debate in the U.S., but pro-life advocates say the film depicts old stereotypes and ignores the many women leading the modern pro-life movement. “In so many cases, it is women who are at the forefront of the movement to value and protect every human life. Sadly, that fact was left out of the documentary,” said Jeanne Mancini, president of the March for Life. “Had it been included, viewers would have been given the chance to see that the pro-life movement is fundamentally pro-women, because every abortion harms both mother and unborn child,” she said in a statement to CNA. According to Netflix, the new documentary “Reversing Roe” seeks to offer “candid and riveting interviews with key figures from both sides of the divide” over abortion. Created by filmmakers Ricki Stern and Annie Sundberg, a major focus of the film is the historical development of today’s polarized political views on abortion in the U.S. The movie premiered on September 13. The documentary includes interviews from abortion advocates including doctor Colleen McNicholas and feminist leader Gloria Steinem, as well as pro-life advocates such as Operation Rescue President Troy Newman and National Right to Life President Carol Tobias. 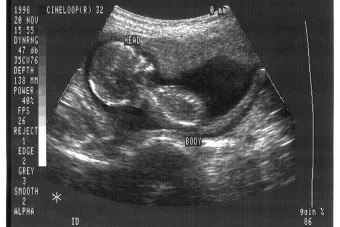 Critics of the film note that appearances by abortion advocates far outnumber appearances by pro-life advocates, and three of the four pro-life individuals featured in the documentary are white males. Several prominent women in the pro-life movement say they were contacted by the filmmakers, and in some cases spent multiple hours or days talking to the camera crew, but were not included at all in the final documentary. In addition to Mancini, these women include Destiny Herndon-De La Rosa, founder of New Wave Feminists; Catherine Foster, president of Americans United for Life; and Abby Johnson, a former Planned Parenthood employee who runs And Then There Were None. “What a waste of their time, actually, to spend two and a half days with me and these other amazing pro-life women and not to use any of that footage,” said Johnson, who founded And Then There Were None as a nonprofit that helps abortion workers leave the industry. Johnson noted that diverse women were included among the abortion advocates filmed, but the pro-life perspective was largely limited to white men. She suggested that filmmakers were intentional in how they chose to portray the pro-life movement. Also overlooked was Destiny Herndon-De La Rosa, president of New Wave Feminists, a secular, feminist organization that was removed from the official list of sponsors for the Women’s March on Washington 2017 because of its pro-life stance. “When we look at these feminist issues through a pro-life lens, I think you get a very refreshing and different take, but they weren’t interested in a refreshing and different take – they were interested in the stale, old narrative that this is completely religious, that …it’s men trying to control women’s bodies,” Herndon-De La Rosa told CNA. She said the film offers an outdated and inaccurate illustration of the pro-life movement, featuring pro-life leaders from the ‘80s and ‘90s and highlighting extremists who have been involved with abortion clinic violence. “They didn’t have anyone who broke the mold, so it was very clear that a pierced, tattooed, purple-haired feminist didn’t fit the narrative that they were looking for,” she said, describing herself. Denver, Colo., Mar 4, 2019 / 12:00 pm (CNA).- Last week, 44 U.S. Senators voted against legislation that would ban the willful or negligent homicide of babies -born alive after a botched abortion.